The BBC ran a story earlier this week about how Japan’s Prime Minister Abe has become embroiled in yet another corruption scandal for supposedly helping a friend secure government permission to build a veterinary clinic, which isn’t the first time that he’s accused of apparently abusing his office. As cited by the UK outlet, the Prime Minister is now polling at less than a 30% approval rating, which they predict might make it harder for him to win a third term in next year’s parliamentary elections. 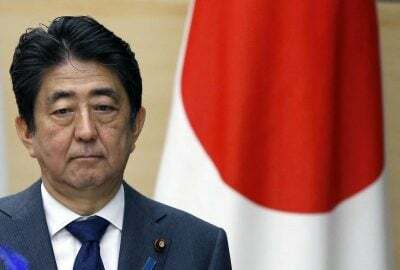 There’s still quite a lot of time to go before then, however, and anything can happen to either improve or further diminish his standing in the eyes of the Japanese populace, but what’s important to focus on in this contemporary context is Abe’s legacy of leadership and the two major decisions that await him in the coming future. This will allow people to more comprehensively assess his overall political significance and reach their own conclusions on whether it’s a good or bad development that his popularity has recently tanked and his upcoming reelection prospects might be in jeopardy. The mismatch between Abe’s multipolar and unipolar legacies thus far is confusing for many observers to make sense out of, and it doesn’t help any that his country has also actively gotten involved in the South China Sea dispute, is streamlining the so-called “Freedom Corridor” with India as a counter to the New Silk Road, and is supporting India as a continental counterweight to China, all of which could be attributable to geopolitical constants that aren’t as closely dependent on Abe’s personal leadership as the other four examples that were just mentioned. Looking forward, however, there are two pressing decisions that Abe will be forced to personally make if he’s successful in recovering from his recent unpopularity and winning reelection next year, and that’s whether to go forward with China’s multilateral free trade proposal of the Regional Comprehensive Economic Partnership, or RCEP, and to fulfill his promise to revise the constitution by 2020 in order to formalize his administration’s nationalist reinterpretation of its pacifist clauses.